Despite whether our candidate won or lost this past week, I would be very surprised to learn that any of us feels good about negative election fallout that has surfaced since Tuesday night. My social media feed has been flooded with stories about people who fear, with what seems due cause, changes that threaten to make this country a less safe place for them as minorities. So, yes, we see reasons why people are ready for change, but it seems to me that change which threatens the other should not be part of the new equation. Jonathan Merritt, writer on faith and culture, reports that “the protests on Fifth Avenue have garnered a lot of attention, but New Yorkers are posting their grief underground on tens of thousands of sticky notes. These emotional messages are slapped onto subway station walls across the city. The New York Times story on this protest is moving, but nothing beats the messages themselves,” messages offering prayers and desires for love, hope, equality, safety. Preparation for the job ahead of us can come in all sorts of ways. My niece shared that, while cooking, she listened to an hour of Radiolab segments on laughter for much needed respite. Strangely enough, comfort food provided a sort of self-care as our family struggled to make our way through last week. I was delighted to find Trader Joe’s (in Grand Rapids) had received their holiday shipment of turkey-less stuffed roast with gravy. I bought three on Wednesday and they were gone by Friday…one with the Grand Rapids family, one with the South Bend family, and one for a late-night snack on the in-between day. Sometimes you do what you have to do to maintain sanity and a small sense of well-being in spite of the world's condition! How did you achieve that for yourself this past week? Before we can be there for others, we need personal fortification, our own resilience strategies, our own ways to work at repairing the breach, our own understanding of the grief we suffer. 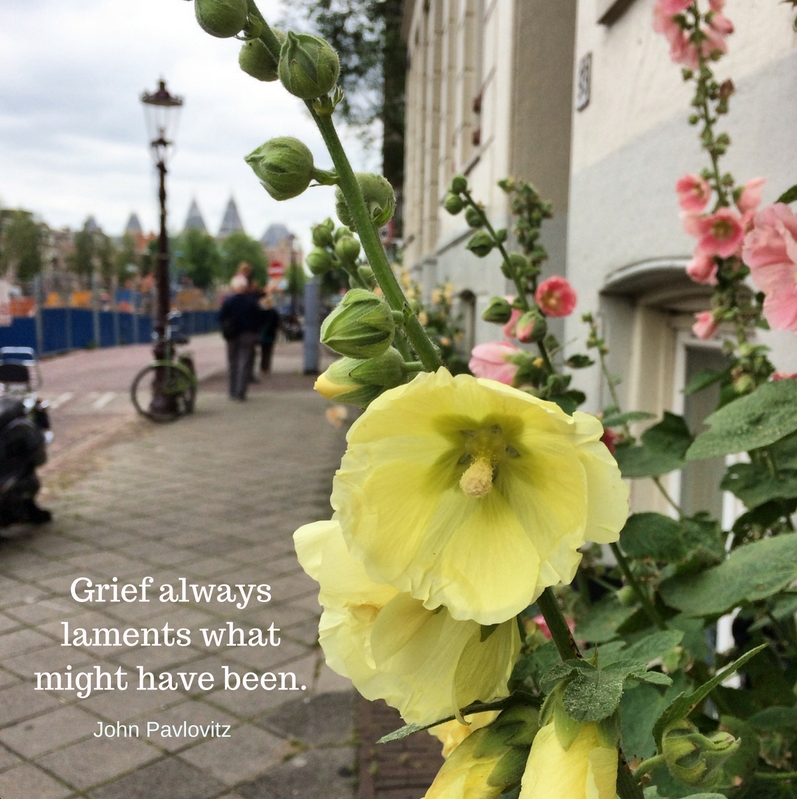 With regard to the latter, John Pavlovitz says this: “Grief always laments what might have been, the future we were robbed of, the tomorrow that we won’t get to see, and that is what we walk through today. As a nation we had an opportunity to affirm the beauty of our diversity this day, to choose ideas over sound bytes, to let everyone know they had a place at the table, to be the beacon of goodness and decency we imagine that we are—and we said no. “The Scriptures say that weeping endures for a night but joy comes in the morning. We can’t see that dawn coming any time soon.